The practice of gratitude as a tool for happiness has been in the mainstream for years. 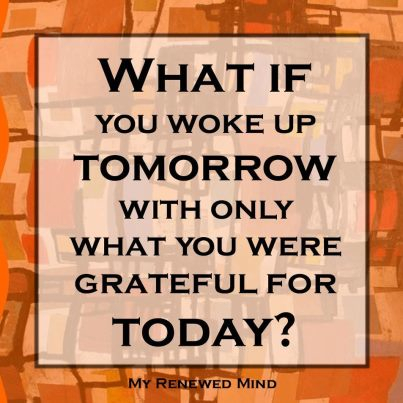 Long-term studies support gratitude’s effectiveness, suggesting that a positive, appreciative attitude contributes to greater success in work, greater health, peak performance in sports and business, a higher sense of wellbeing, and a faster rate of recovery from surgery. But while we may acknowledge gratitude’s many benefits, it still can be dif ficult to sustain. So many of us are trained to notice what is broken, undone or lacking in our lives. And for gratitude to meet its full healing potential in our lives, it needs to become more than just a Thanksgiving word. We have to learn a new way of looking at things, a new habit. And that can take some time. There are many things to be grateful for: the ones in your life who really care about you and your wellbeing, the ones who don’t care about you and your well-being but through that gives you the opportunity to learn a valuable lesson, your unconditionally loving pet(s), a cozy warm jacket on a chilly winter day, your great computer, the ability to read, the free education in great schools and universities that you got – and that your children are getting, good health, free healthcare for the times you’re not feeling well, unlimited fresh spring water running through your kitchen tap, a hot bubblebath. What’s on your list? 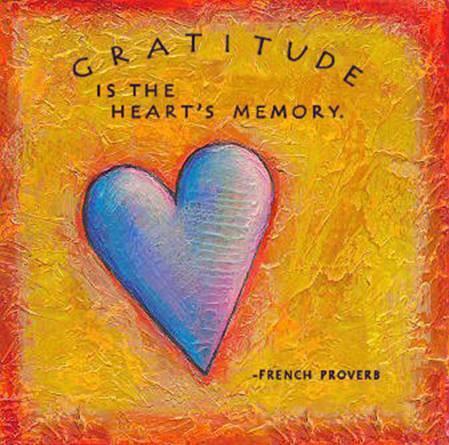 What are your favourite ways of expressing gratitude? Share some inspiration with us – we’d love to hear about it! Excellent post. I certainly love this site. Stick with it!